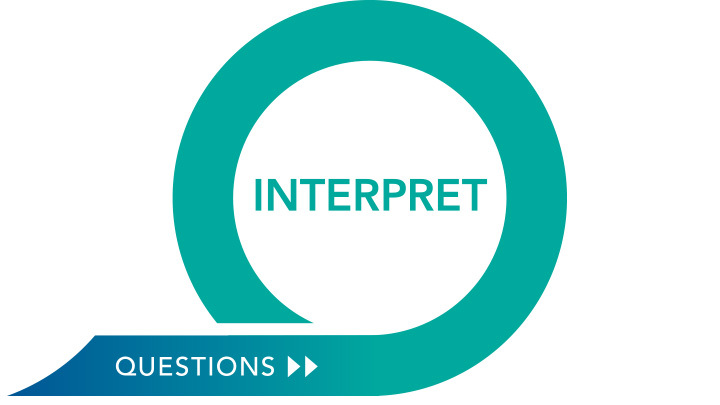 During the second part of the conversation, called “Interpretation”, your group will gain clarity about what the passage means as they share and discuss their questions together. Great observations make for great questions! As your group finishes a lively time of observation, it’ll feel natural to share with each other your questions. Most of the time, as your group shares their questions you’ll simply write them down on your own paper, but if you do happen to have access to a whiteboard or some equivalent that everyone can see, that’s great too. As you write, restate the question to make sure you’ve got it. As you restate it, feel free to gently refine the question, making it more TIGHT. You and your group will learn to ask increasingly great questions as you practice this style. Save for last the question that deals most directly with the core message--that is, the question that most gets at the heart of the passage. Ideally, your discussion along the way will lay a foundation that helps you build up to this last question. Now, use the questions to guide your group into interpretation! You don’t want this to feel like the group is dutifully filling in a Bible worksheet. Aim for a real and lively conversation; try to make it FLOW. Flex your plan to follow the conversation. If it’s going in a fruitful but unexpected direction, you might want to ask an unplanned follow-up question or adjust the order of your questions. Laughter is great sign that you’re having a real conversation. That doesn’t mean you have to make jokes, but lead with a tone that makes laughter feel natural. Other views beyond the first person to speak help the conversation go deeper. You can ask, “Anyone want to build on that?”, or, “That’s good, does anyone have a different angle on it?” Ultimately, you want your group talking to each other, not just looking at you as they answer. Wait out the good silences. When you ask a great question, a thoughtful silence means people are thinking, so don’t rush in to fill it. But, a silence that drags on too long might mean people are lost. Repeat or rephrase the question. In terms of pacing, this is the longest part of your Bible study. As you grow as a leader, you’ll develop a feel for when to move on to the next question. If you move on too fast, people who don’t jump in quickly might feel like they didn’t get a chance to contribute. But, you don’t want to go so slowly that the conversation loses energy. Keep an eye on the clock so you have plenty of time for your last question. Over several studies, you’ll likely notice your group has some sticky areas holding you back from even better conversations. Maybe your group gets off on tangents easily. Maybe one person never talks and someone else fills every silence. Check our Strengthening Group Conversations guide to troubleshoot some common challenges.